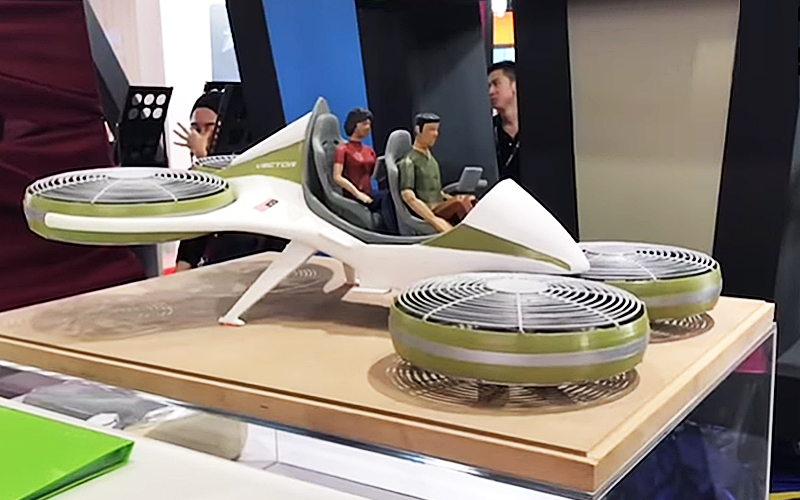 The model of a flying car, known as Vector, has intrigued many visitors at LIMA’19. LANGKAWI: If you are eager to see how the “air mobility system” looks like, the Langkawi International Maritime and Aerospace 2019 (LIMA’19) exhibition here, is indeed a great place for you to do so. Although it is just a model, the public can have a clearer idea of the physical look of the vehicle that could be flown someday. Known as Vector, the vehicle’s debut at the Mahsuri International Exhibition Centre (MIEC) has been stealing the limelight of this year’s edition as many patrons are intrigued by it. Most of them initially thought Vector was the much-talked about flying car, but it is nowhere near that.